James Georgopoulos has always been appreciative of automotive finishes and their malleability through sanding, painting, and polishing to create high gloss surfaces. Georgopoulos began to explore ways to deconstruct the car in a non-traditional visual form so the viewer could appreciate the massive size and power of a car but in the confines of an interior space. 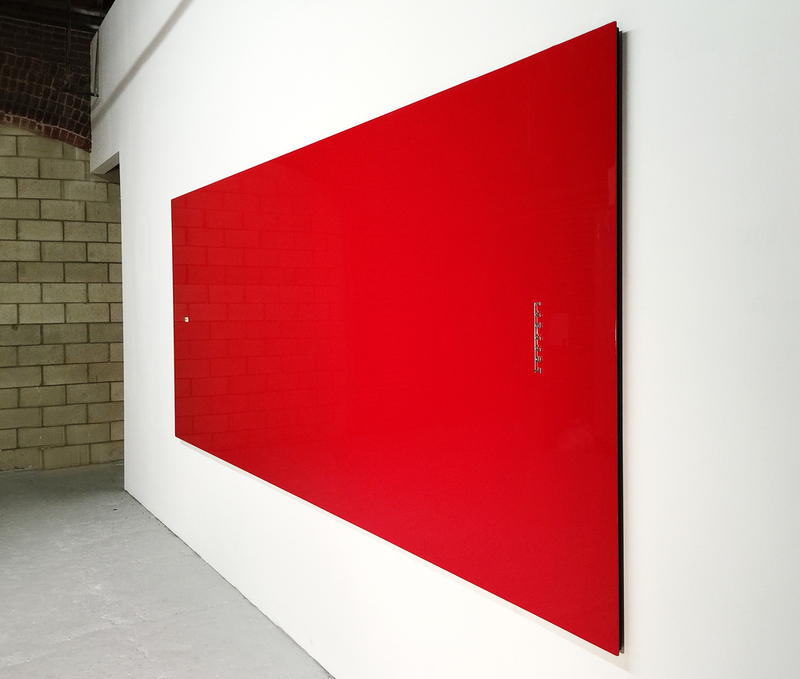 The result is a 1:1 scale flat panel homage to the automobile; made in the measurement specifications (length and width) of the manufacturer dimensions, giving the appearance of the car being flattened from above. Keeping true to the automotive industry, all frames and metal components on the works are made with aerospace aluminum and finished with the same traditional technology used on the world’s most revered super cars to achieve the ultimate mirror like reflective surface. The emblems and badges are all original OEM parts or made to OEM specs, either vintage or still in circulation for maximum authenticity.